Sick of sitting in chairs that belong at the kids' table? You're in luck. 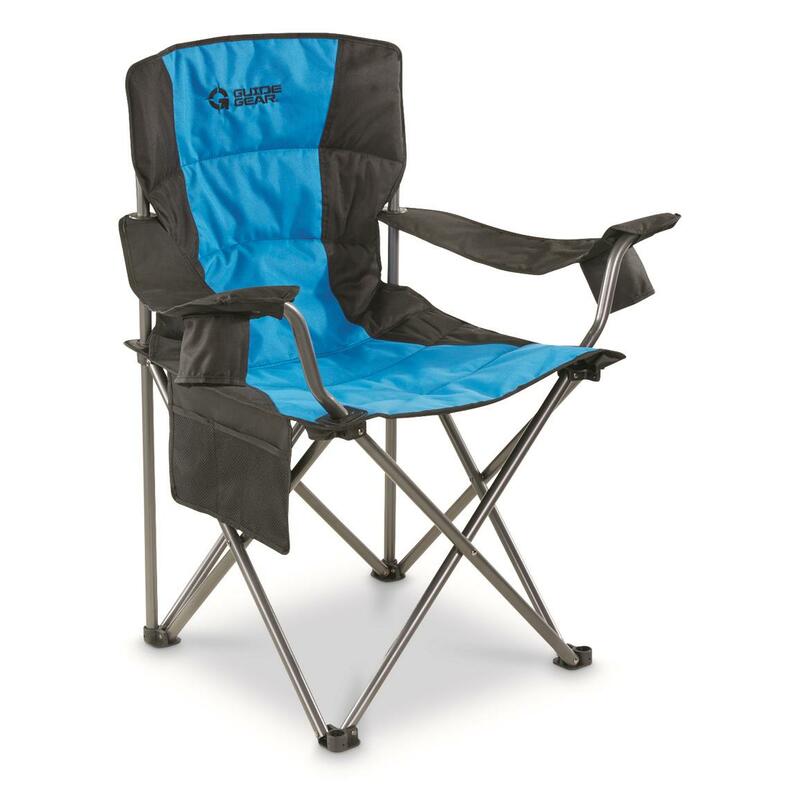 This Guide Gear® King Chair is built with extra room and padding on a sturdy steel frame. 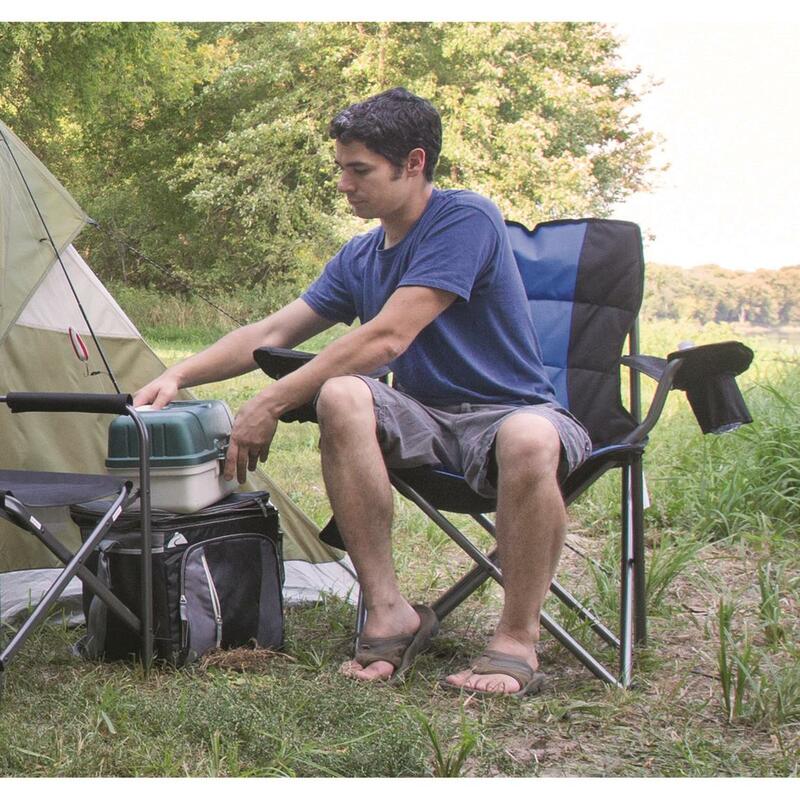 Plus, it features two built-in cup holders and a hanging storage pouch on the side. 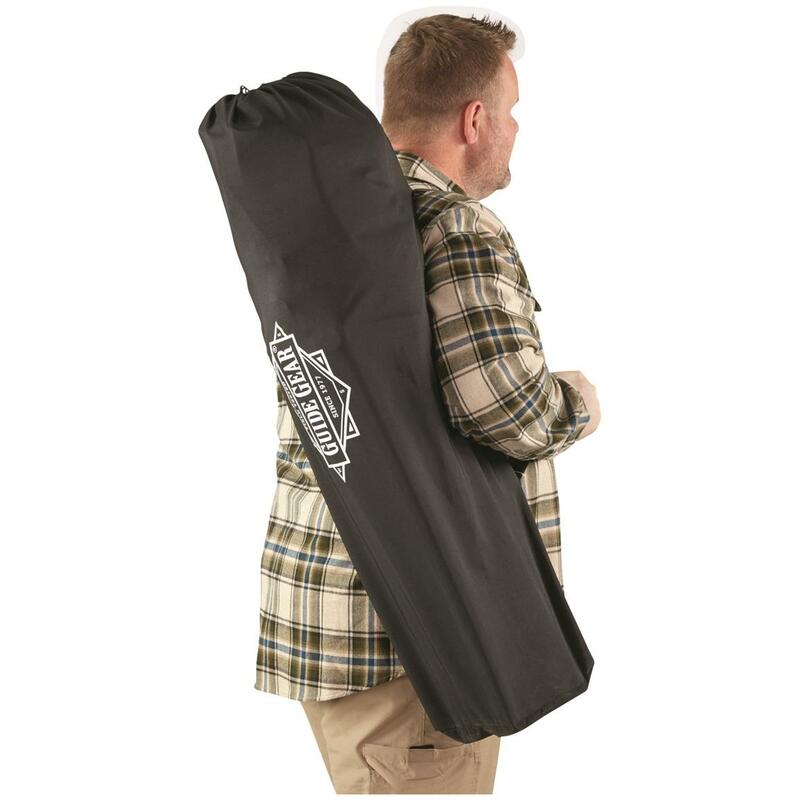 Perfect for camp, picnics, parades and more. Seat Dimensions: 19" x 23"w.
Overall Dimensions: 17.5" x 24.5" x 33"h.
Guide Gear Oversized King Camp Chair, 500 lb. Capacity, Blue is rated 2.3 out of 5 by 3. Rated 1 out of 5 by Devil Dog from Disappointed Ordered two chairs same time arrived same time, thou different. Used them over the holidays by wife and myself. I weigh 238 pounds and the grommet ripped, sure glad I do not weigh 500 pounds! Very disappointed; however, it is from China! Rated 1 out of 5 by mga1953 from Broke within 5 minutes of setting in the chair I weigh 265 lbs., the chair is rated for 500 lbs.. The plastic grommets that surround the front legs and are stitched to the seat ripped out the stitching within 5 minutes of sitting in the chair. The grommets are semi-rigid and dig into my thighs which quickly become uncomfortable. 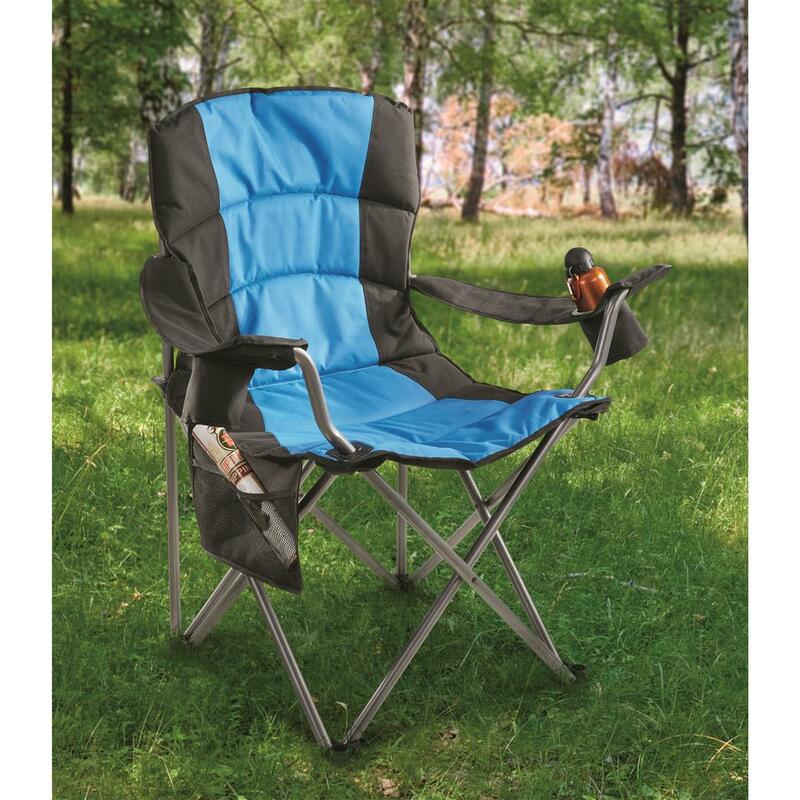 Rated 5 out of 5 by Yvonne from Comfortable To say that this is an extremely comfortable chair with soft fabric n roomy. No cramped up feeling.